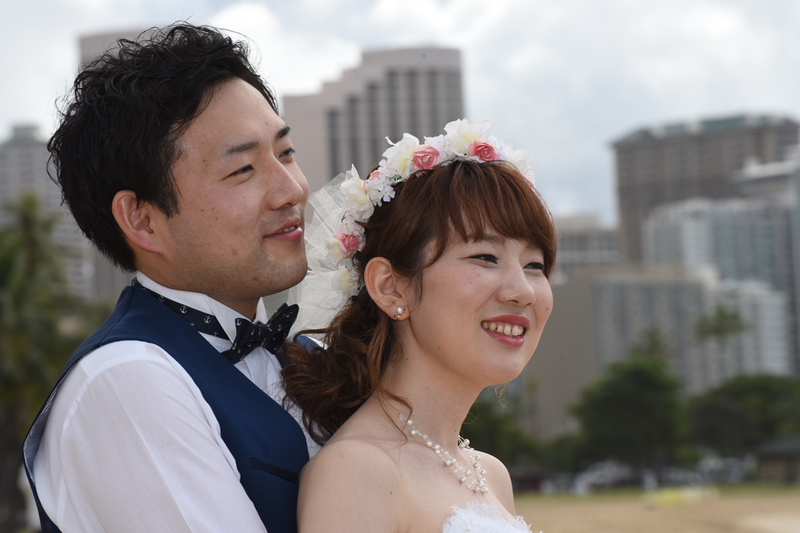 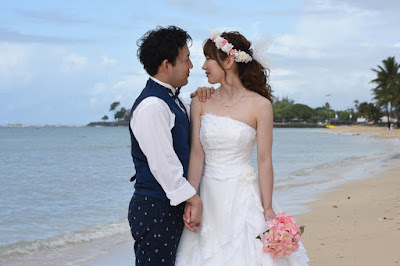 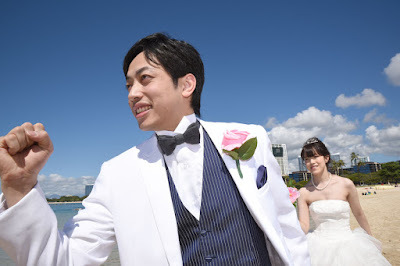 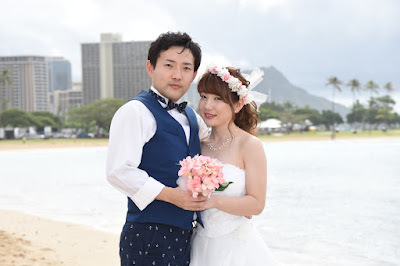 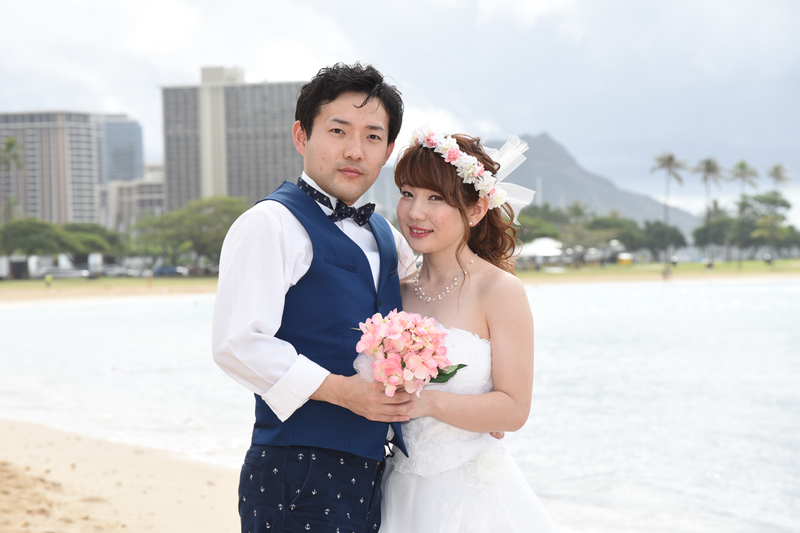 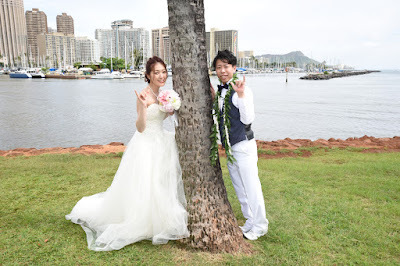 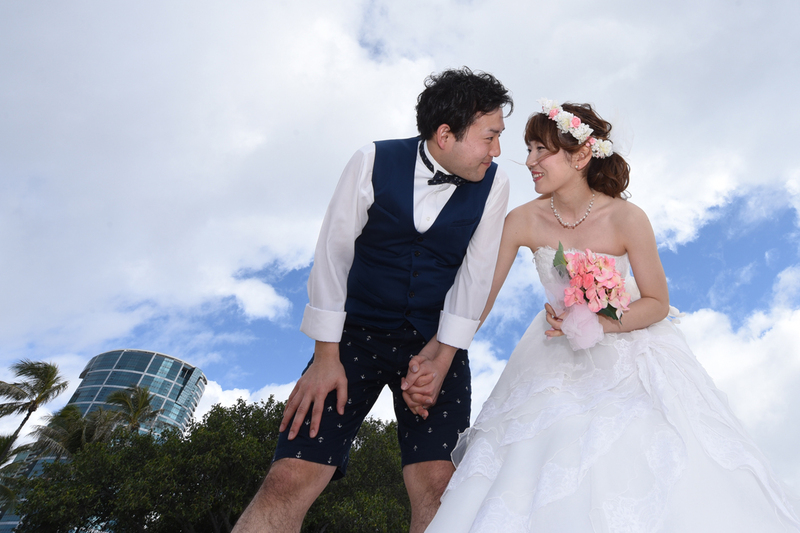 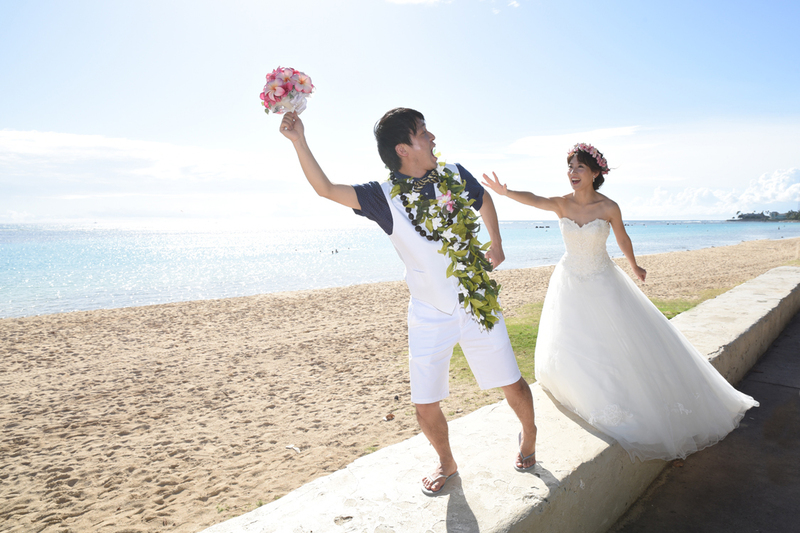 Romantic honeymoon photos with Kazuya and Yuko at The Wall, Ala Moana Beach Park. 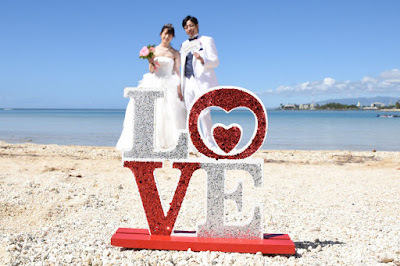 If you wish to venture 15 min. 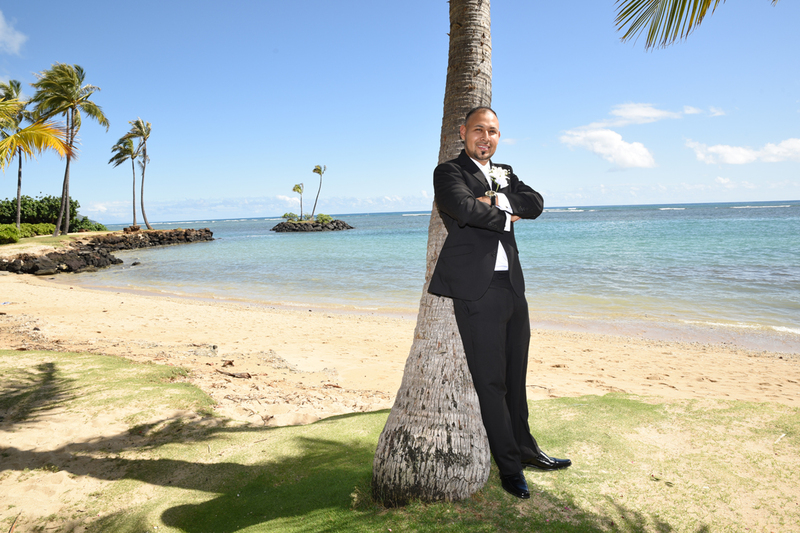 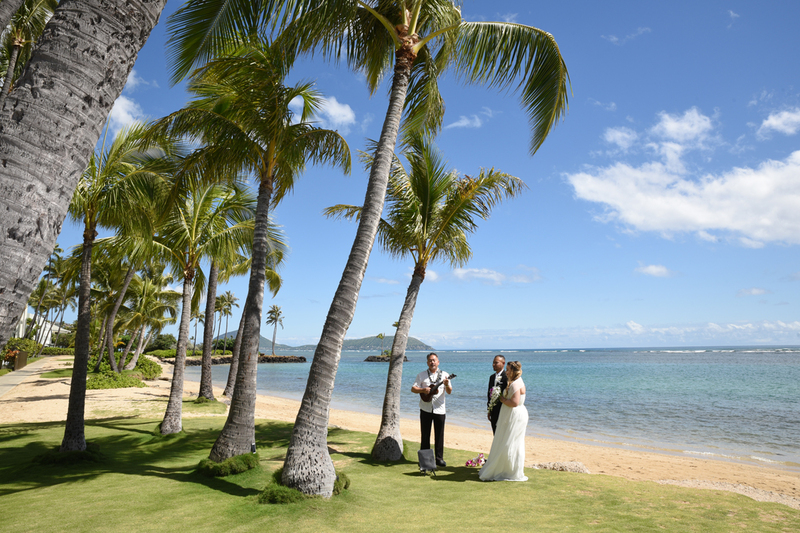 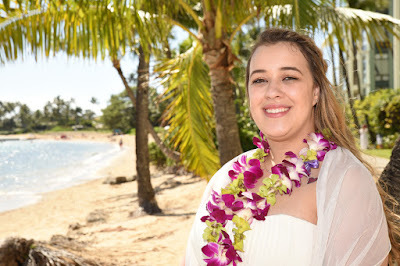 away from Waikiki you can find a more secluded beach at the end of Kahala Avenue for your Honolulu wedding. Call Bridal Dream Hawaii at 808-924-3600 for inquiries or wedding reservations. 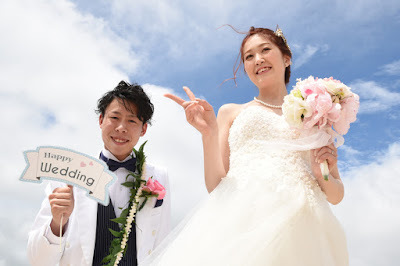 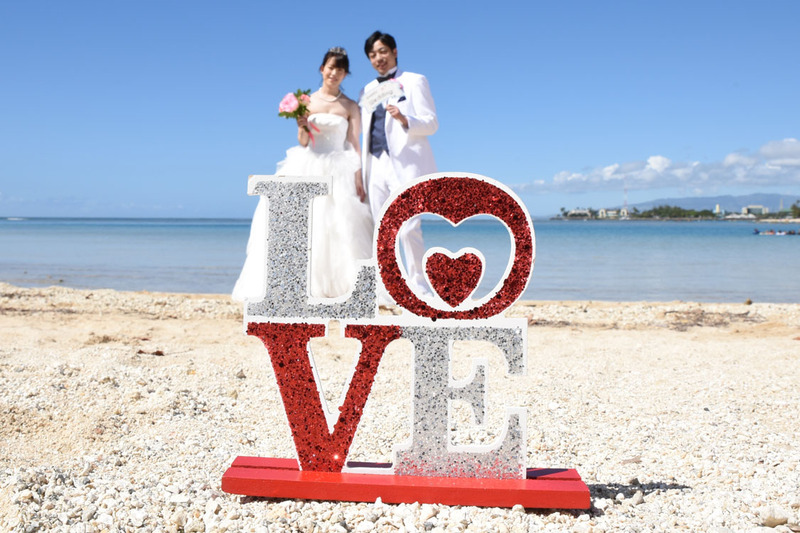 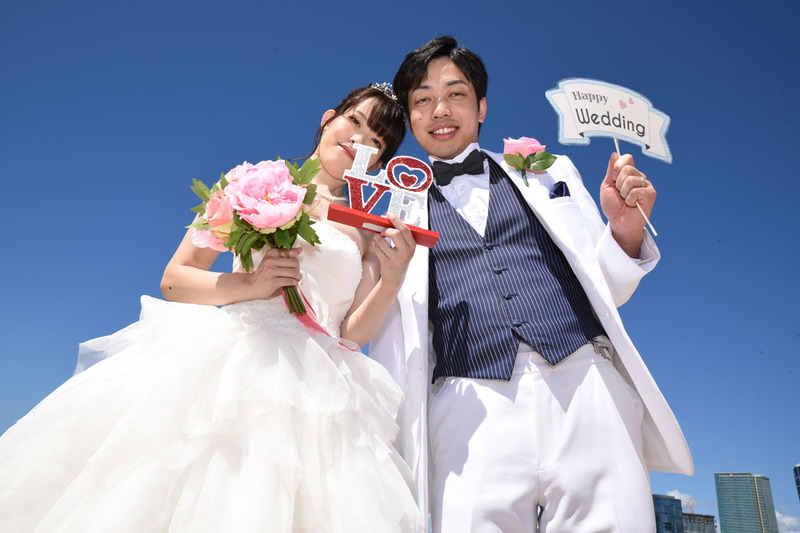 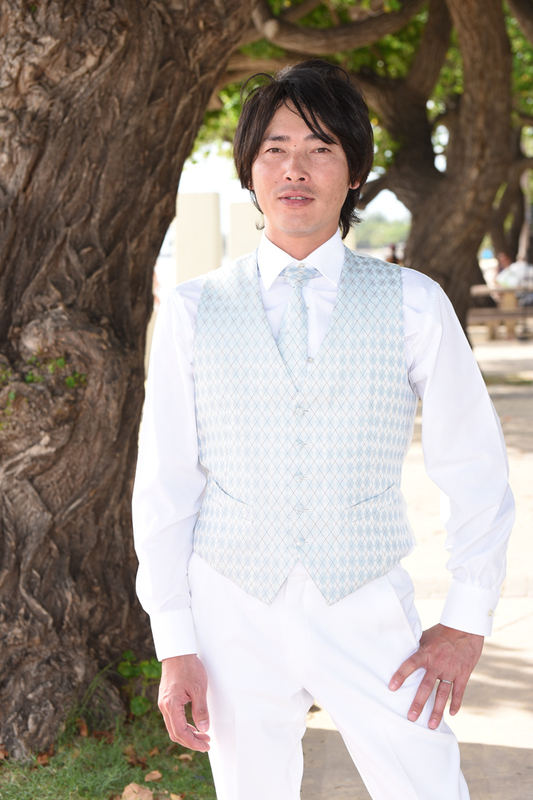 Takuma and Yuka brought along some creative photo props to use in their wedding photo shoot. That's planning ahead! 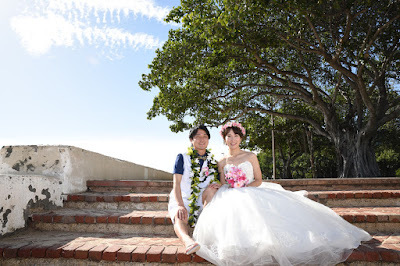 Happy honeymoon couple sitting on the brick steps at White Wall, Ala Moana Beach Park. 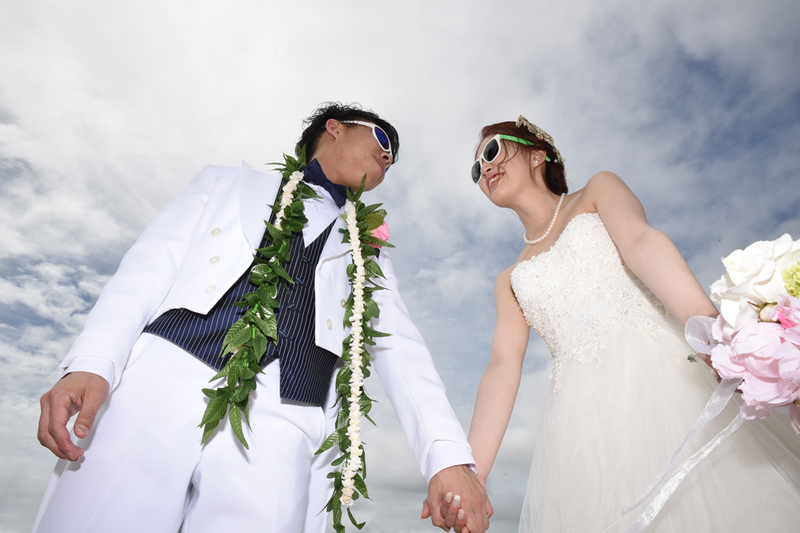 Behind the honeymoon couple you can see Prince Waikiki, formerly Hawaii Prince Hotel. 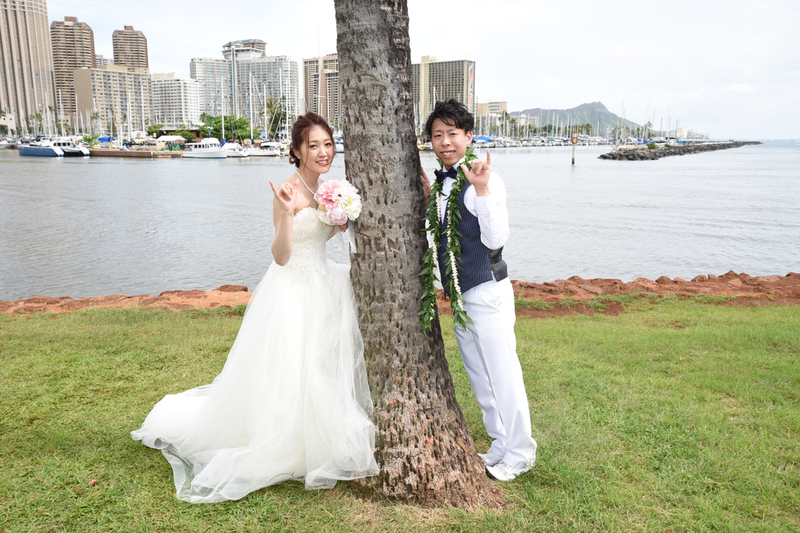 Honolulu skyscrapers seen behind Ala Moana Park are part of Oahu's charm. 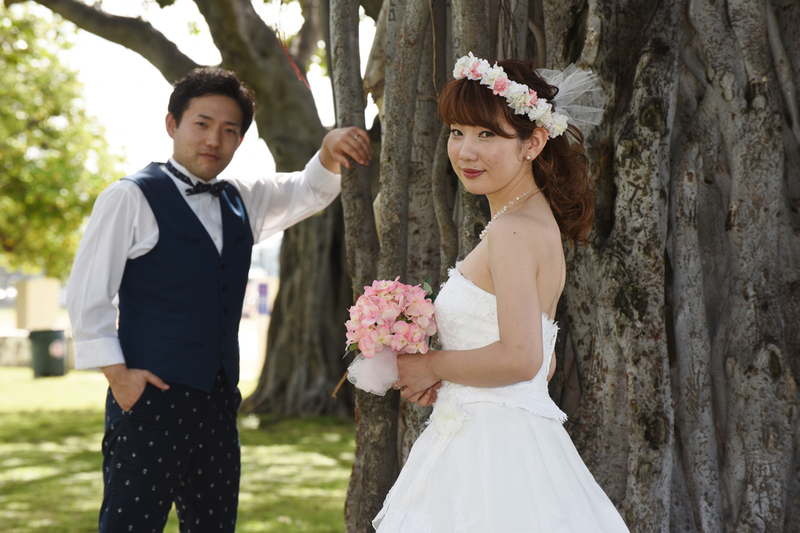 Banyan trees in the park are a good backdrop for honeymoon photos.